Reliable people—Since we constantly train our heating install techs, you can be 100% confident that your job will be done right—the first time. Reliable financing— High credit score? Low credit score? We can help people with either! Size: Furnace size is measured by BTUs. The higher the BTU output of a furnace, the bigger it is, and the more expensive it will be. Comfort features: Furnaces with a more advanced blower motor or burner system will cost more. Warranty: If you opt for an extended parts and/or labor warranty, the total cost of the unit will be greater. Your furnace is 10+ years old. Unfortunately, furnaces don’t live forever—they usually only last 10–15 years. 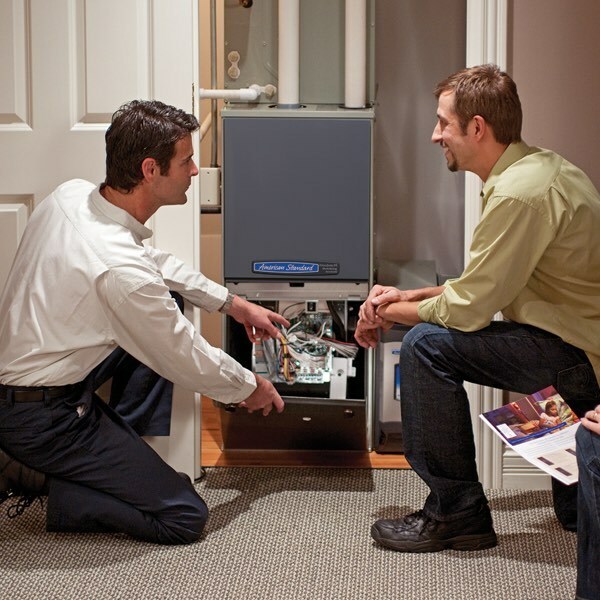 If your furnace has reached or passed its 10th birthday, it’s probably time to replace it. Your furnace is breaking down a lot. Frequent repairs are a sign that your furnace is getting ready to kick the bucket. And instead of wasting money on a furnace that’s about to die, you can put that money towards a new furnace system. You have consistently high energy bills. If your winter energy bills are consistently getting higher and higher, it could be a sign your furnace is aging and needs to be replaced. Older furnaces lose efficiency as they age, which makes your energy bills go up. Want an accurate install price? Schedule an in-home estimate online or call us at 512–396–8183. We schedule service in 2-hour windows, so you'll know around the time we'll arrive. Once your tech arrives, they’ll investigate your furnace and do the calculations needed to determine the system size you need. Then, you'll get a price quote for the installation. We can usually get an installer to your home within 2 days to install a new furnace. If we can't get to you in time, we'll provide temporary heating or put you up in a hotel up to 3 days. We don't just dine and dash. After the installation, we call to get your feedback so we can ensure you're 100% satisfied. 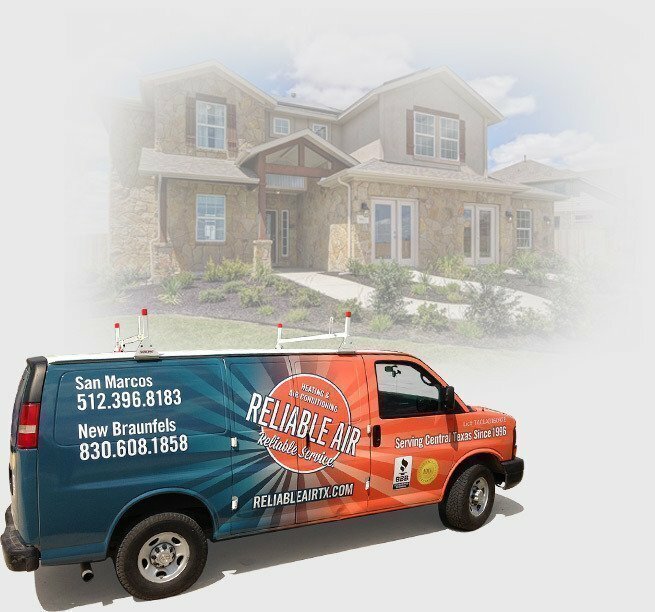 "Reliable Air has gained a customer for life!" "Steve T did a phenomenal job explaining each task he was going to perform at my house. He never once made me feel pressured to invest in anything than what was necessary. He also took the time to give me tips on how to manage my system to make easier on the pocket. Reliable Air has gained a customer for life! " "Reliable Air put my central air and heat in my home many years ago, around 2007. I have had no problems with their punctuality, courtesy, and any work performed by ALL of their technicians. They identify themselves and are in uniform. They protect my carpets also. My unit is serviced two times a year through my maintenance contract with them. This last visit, the technician was very thorough with his inspection and replacement of a part. He explained the what and the why of all that he did. They are 'reliable.’"
We do whatever it takes to make you happy (like, 3-day weekend happy). So, if you have any issues with our furnace installation, we'll make it right—even if that means giving you your money back.